The Maryland General Assembly introduced more than 2,800 pieces of legislation during its 2017 session and passed about 935 bills. The following is a sample of legislation of interest to Baltimore County residents and other consumers. The info is as of May 1, 2017. For details on the bills, effective dates and status, visit mgaleg.maryland.gov. Maryland Healthy Working Families Act. House Bill 1 requires employers with 15 or more employees to provide employees with five days earned sick and safe leave and requires employers with 14 or fewer employees to provide unpaid earned sick and safe leave. If signed by the Governor, the bill would take effect Jan. 1, 2018.
Credit Report Security Freezes. House Bill 212 prohibits a consumer reporting agency from charging a consumer a fee for placing a security freeze if the consumer has not previously requested the placement of a security freeze. Treatment Foster Care Homes – Siblings. House Bill 1207 authorizes the placement of more than two children in a treatment foster care home in order to place siblings together. Senior Call-Check Service and Notification Program. House Bill 601 requires the Maryland Department of Aging to establish and administer the Senior Call-Check Service and Notification Program, subject to specified conditions. Eligible participants must be age 65 or older and Maryland residents. Housing Navigator and Aftercare Program. House Bill 269 codifies the Housing Counselor and Aftercare Program in the Department of Human Resources to assist families and individuals who are experiencing or are in imminent danger of a housing crisis in obtaining and maintaining permanent housing. Student Loan Notification Letter. House Bill 509, sponsored by Del. Shelly Hettleman, requires state college and university to provide each undergraduate who applies for federal student aid the amount he or she has accrued in federal loan debt. The institution must provide the information annually with the student’s financial aid award notice. Financial Aid Reduction Restrictions. House Bill 266, sponsored by Del. Dana Stein, states that a college or university can reduce scholarship money already awarded to a student only under specified circumstances. Senatorial and Delegate Scholarships – Individuals on Active Duty. House Bill 12 authorizes senatorial and delegate scholarships to be used at an out-of-state college or university if the applicant is on active duty with the U.S. military and domiciled in the state. It also authorizes senatorial scholarships to be awarded to an individual who is on active duty with the U.S. military and domiciled in the legislative district of the state from which the applicant seeks an award. 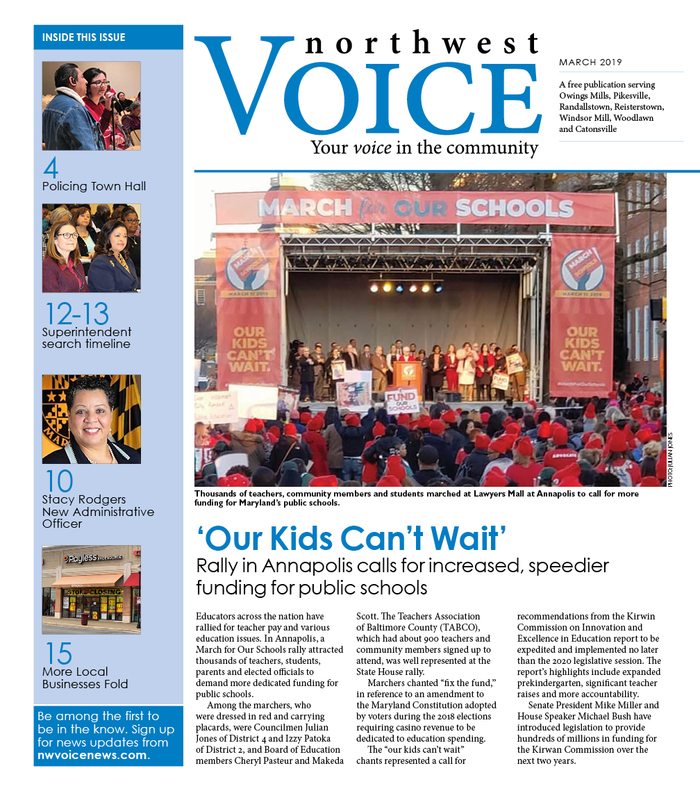 Public Schools – Suspensions and Expulsions. House Bill 425 prohibits the suspension or expulsion of prekindergarten, kindergarten, first grade, or second grade students from public schools with specified exceptions for an expulsion required by federal law. School Personnel – Training Requirement. House Bill 920 requires the State Board of Education to require, by July 1, 2018, all school personnel who have direct contact with students on a regular basis to complete training by Dec. 1 each year in the skills required to understand and respond to youth suicide risk and identify professional resources to help students in crisis. Issuance of Alcohol Licenses Near Places of Worship. House Bill 436 adds an additional exception to the prohibition against issuing an alcoholic beverages license in Baltimore County to an establishment within 300 feet of a place of worship. Alcoholic Beverages – Class 5 Brewery License. House Bill 1283 supports the Diageo Guinness Brewery that will open in Baltimore County by making changes to the sampling and sale of beer by a Class 5 brewery. Sexual Assault Victim Rights. Senate Bill 349, sponsored by Sen. Bobby Zirkin, and the companion House Bill 255, sponsored by Del. Shelly Hettleman, requires that a hospital or child advocacy center transfer evidence of a sexual assault after an exam to law enforcement within 30 days; and mandates that law enforcement retain sexual assault examination kits for 20 years. Sexual Offenses-Physical Resistance. House Bill 429 and Senate Bill 217, sponsored by Sen. Delores Kelley, establishes that a victim of a sexual crime is not required to prove that he or she physically resisted. Divorce-Domestic Violence Order. House Bill 293 repeals provisions of law that prohibit an order or decision in a domestic violence protective order proceeding from being admissible as evidence in a divorce proceeding. Maryland Defense Act of 2017. Senate Joint Resolution 5 directs the Attorney General to investigate, commence, and prosecute or defend any civil or criminal suit or action that is based on the federal government’s action or inaction that threatens the public interest and welfare of the State’s residents. Public Integrity Act of 2017. House Bill 879, a Hogan administration bill, revises the provisions governing ethics for State elected and public officials, and lobbyists by expanding the application of conflict of interest rules, disclosure rules, and reporting requirements. 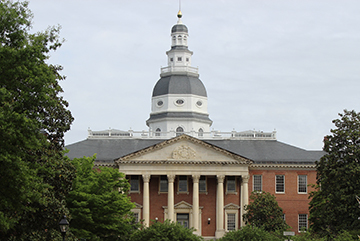 The bill also establishes the Citizens Advisory Board on Legislative Ethics (CABLE) to periodically recommend changes in the Maryland Public Ethics Law. Election Law-Notice of Change in Voting Rights. House Bill 353 requires the State Board of Elections or a local board of elections to provide public notice in advance of a meeting at which a change in an administrative policy affecting voting rights will be considered. Henrietta Lacks Way. Senate Bill 326 requires the State Highway Administration to dedicate a portion of Broening Highway as Henrietta Lacks Way. Lacks was a Baltimore County resident and mother of five who died in 1951 from cervical cancer. Her harvested cells known as the HeLa cells multiplied to help researchers achieve medical discoveries, such as the polio vaccine and cancer treatment. Natalie M. LaPrade Medical Cannabis Commission-Composition and Licenses. Senate Bill 267/House Bill 487 is emergency legislation that would have expanded the 15 businesses awarded preliminary licenses to grow medical marijuana to include five African-American businesses. After passing the Senate, it was expected that the House would take a vote and the bill would pass. However, the bill died in the final minutes of the session in which many considered a deliberate attempt to kill the bill. The Legislative Black Caucus, led by Del. Cheryl Glenn, has called for a special session for the General Assembly to take a vote on the bill. The medical marijuana industry is considered a billion-dollar industry. Home Act of 2017. House Bill 172 would have prohibited discrimination to rent or sell property based on source of income, such as housing vouchers for the disabled, low-income and veterans, alimony, inheritance and child support. Internet Consumer Privacy Rights Act of 2017. Senate Bill 1200 would have prohibited an Internet service provider from selling or transferring (for marketing purposes) a consumer’s personally identifying information to a person without the consumer’s express and affirmative permission. The Trust Act, House Bill 1362, clarifies the roles of local, state, and federal law enforcement in immigration enforcement.